Landscape photography is what made me fall in love with this gig. I release the shutter and seize God's unbelievable handiwork. As I sit in the quiet observing this beauty I am humbled and awed. It is a spiritual high like nothing else. These photos were taken the last couple years over the course of our travels. Can you imagine them minus the blue sky? There are few simple things to consider if you want to capture beautiful landscape photography like the pros. Tip #1- Check the weather ahead of time. Mother Nature doesn't always cooperate with your photo shoot plans. Unless you have an extravagant sealed camera you will want to protect yours from the rain. Tip #2- Use a polarizing filter to enhance the color and contrast of your blue sky or actions to enhance your photos post processing. Tip #3- Don't forget about Depth of Field (DOF) for your scenery shots. Generally you will want to maximize your DOF by choosing a small aperture setting (larger f-stop number). Tip #4- Have a tripod handy. By increasing the f-stop for deeper DOF you extend the shutter speed making it imperative to steady the camera. Tip #5- Avoid shooting at midday if possible to stay away from harsh light and shadows. That's all I have for now. Can't wait to see your blue sky pics! As always, thank you so much for joining Kristi (Live and Love out Loud) and me in the Crazy Days of Summer Photo Challenge. Have you heard? 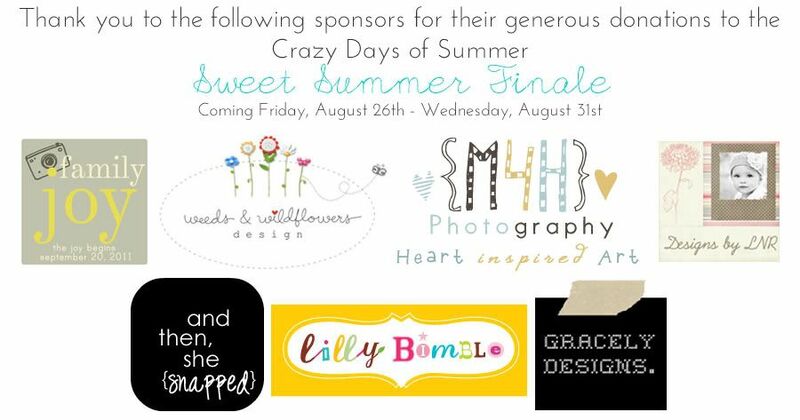 We’ve got some exciting things planned for our Crazy Days of Summer Photo Challenge Sweet Summer Finale on August 26th. There’s an amazing prize package giveaway filled with photography and scrapbooking goodies galore and it’s growing by the day! Submit your favorite summer photos on August 26th to qualify for the drawing. You could be the lucky winner. So, mark your calendars now and make sure to stop back for our sa-weet finale! You can find more details in my Summer Photo Challenge Page. Gorgeous! You are really talented. I love these photos, and the tips are super helpful. Thanks! All gorgeous photos! I love the hot air balloon and the Ferris Wheel~along with all the rest! Fantastic! Gorgeous donkey skies picture:) I love the collage also, beautiful tones. Have a nice weekend darling. Beautiful pictures, I love those spectacular skies, a real delight for the eyes. Lovely set. Must say donkeys are my favourite! 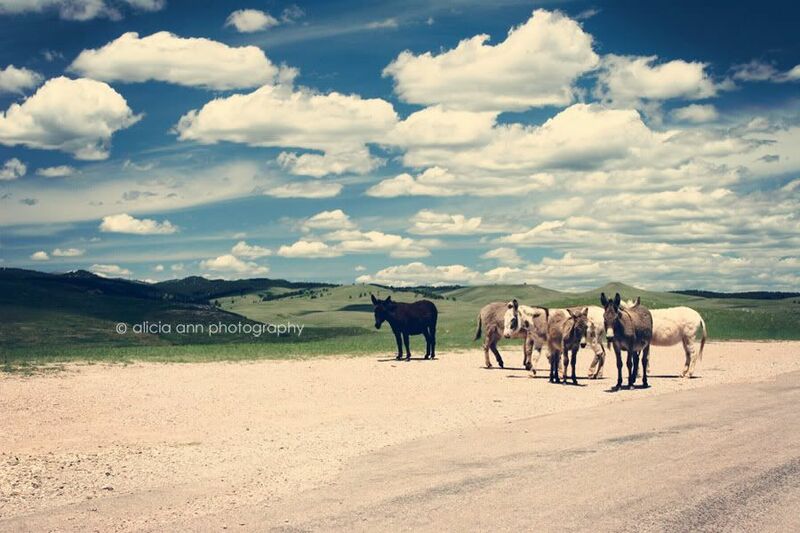 I love your donkey - horses photos. those clouds are crazy beautiful! LOVE that last pic. What a handsome group! What an absolutely gorgeous collection! WOW! Wow, I love these Alicia. That top left one is awesome, but they are all great. I really love your collage - that balloon is stunning! Thanks for running this challenge all summer - it's been fun! Ahh dare to dream. If I ever get a good camera Oh the shots I could take! AMAZING shots - love that last one. Alicia, these are stunning photos! That first collage is gorgeous. Alicia- I completely agree! Nothing like taking in all of the Lord's Glory- in a photograph. Sometimes I could just stare at them for what seems like an eternity! Great tips!! Love the collage!! Love how the clouds with the donkeys seem to pop off my computer screen!! Beautiful pictures. This has been a lot of fun. Absolutely awesome shots. I agree landscapes really give me a sense of awe too. I fell in love with landscape photos on my first trip to California and I loved them ever since. I would add "Tip #6: If you see a gorgeous blue sky with clouds, be sure and take a shot or 6. You can use them later in Photoshop to 'improve' images that have crappy skies." wow! those are some beautiful pictures.. especially the last one! 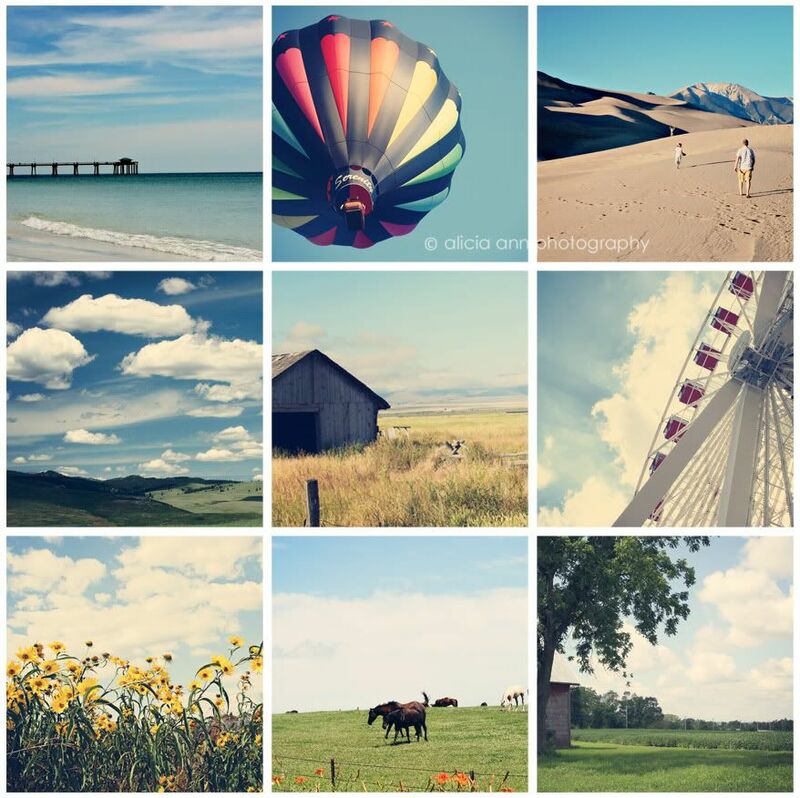 thanks for hosting the wordless wednesday blog hop!